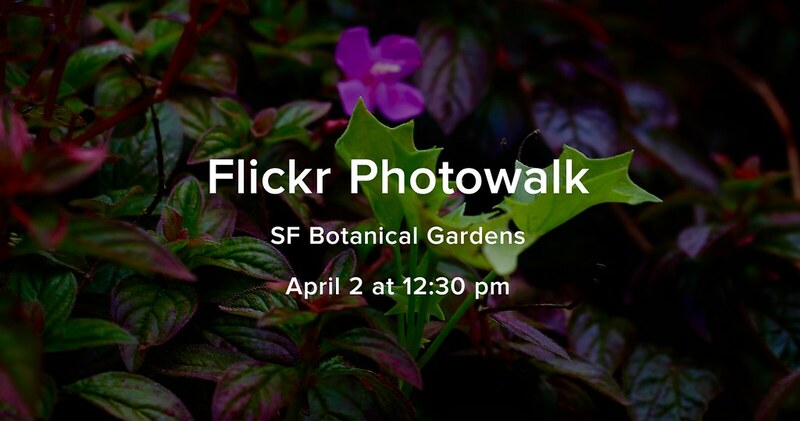 Flickr is excited to host a Spring Photowalk through San Francisco’s Botanical Garden in Golden Gate Park! We’re going to tour the gardens, checking out the biodiversity and capturing the beautiful start to Spring. A Botanical Garden volunteer will educate us about the history of the gardens and about some of the most popular and unique blooms. We’ll be giving away some free Flickr swag and, to top it all off, we’re going to conclude the walk with a photo contest! At the end of the walk, everyone is invited to submit their best photos from the day using the tag #SFBGPhotowalk! Winners will be announced Wednesday, April 5 on the Flickr Blog and social media channels. We’ll also be stopping by a local pub (for those 21+) after the Photowalk for those that would like to pal around with Flickr Staff and fellow Bay Area photographers. If you have any questions feel free to post on the event page and be sure to RSVP. We’ll update with more exact location details soon!